CBD tinctures are the most popular way to consume CBD oil right now. From carrier oils to extraction methods, we’ve got tips on picking the right CBD oil for you. CBD tinctures are the most popular way to consume CBD oil right now. CBD tinctures typically come in small concentrated bottles of liquid with dropper tops, reminiscent of those from your high school science class. This product type allows you to simply place drops of the tincture under your tongue where the liquid contents are directly absorbed into your bloodstream. The remaining liquid is then swallowed. 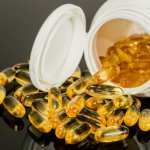 CBD tinctures are more potent than other ingestion methods of CBD like softgels and edibles which must first undergo digestion before entering the bloodstream. Additionally, CBD tinctures are paving the way for healthier, more powerful solutions altogether. While conventional tinctures use alcohol as a solvent or a base, new methods of CBD extraction are being used and tested. This presents you with the cleanest possible CBD tincture. Our guide to CBD tinctures explains how to pick the right supplement for your needs. If you’re interested in purchasing CBD tinctures, here’s what you should look for when researching and reading the labels to make the best choice for you. Traditionally, a “tincture” was a plant or herb extracted in alcohol. 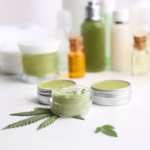 Today, however, when people or companies refer to CBD tinctures, they usually mean CBD hemp extract mixed into a carrier oil to make a nutritional supplement, not actually a product containing alcohol. 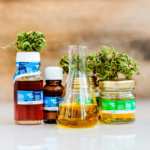 The term “CBD tincture” has become popularized over the last several years, and is now used interchangeably with CBD oil. When in doubt, check with the manufacturer for a complete ingredients list. For those who are new to taking CBD, this works in your favor; you can pick up a small bottle and start out taking just a few milligrams of CBD a day. A CBD tincture, even in the smaller range (around 250mg) will last you quite a while. Take special care in reading labels, especially the front of bottles, which often use less descriptive vocabulary. 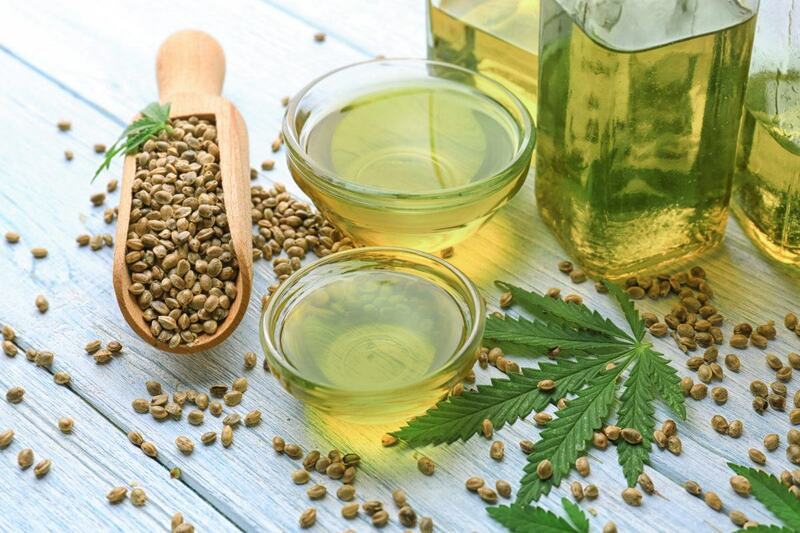 While some supplements are labeled as CBD oil, some companies market their tinctures as “Hemp Oil.” Unfortunately, neither label tells you how much CBD content they contain unless you locate the distinct amount of CBD contained in the tincture itself. This should be clearly listed in milligrams (mg) on every bottle. CBD tinctures will vary in their CBD content. Less potent products house between 200-250mg of CBD per bottle, and more potent products can contain as much as 2,500mg and more. Packaging and labeling can be tricky when purchasing CBD tinctures, but this CBD labeling guide explains more! CBD, like many other health-promoting substances, does not have a long shelf-life on its own. It requires a carrier oil to help stabilize and preserve its healthy components. Don’t worry though, these carrier oils aren’t harmful like artificial preservatives, but actually accentuate the health and potency of CBD Oil. Several common carrier oils include MCT oil derived from coconuts or palm oil, olive oil, hemp seed oil, extra virgin olive oil, frankincense oil, and grapeseed oil. CBD tinctures typically combine hemp extract with a carrier oil such as hemp seed oil, MCT oil, or even olive oil. The purpose of these oils is exactly as it seems: they carry the positive effects of CBD into the body, allowing for better absorption and use. The reason different companies employ the use of different carrier oils in tinctures is because each carrier contains its own various properties or functions. For example, olive oil can act as an anti-inflammatory agent, however, MCT oil can provide a much more stable shelf life. Like a traditional tincture that requires an alcohol-based solvent, ethanol extraction uses a high proof grain alcohol to separate the CBD from the rest of the hemp plant. For those who are sensitive to additives or other substances, we’d advise choosing a product that is not extracted via ethanol. 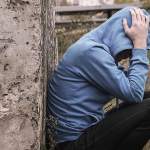 While ethanol extraction is completely safe, it may not be best for sensitive individuals. CO2 Extraction utilizes carbon dioxide as the primary element to separate the cannabinoids, like CBD, from the other parts of the plant. You can think of this method almost like “boiling off” the beneficial parts of hemp, while leaving behind the rest. Currently, CO2 extraction is one of the most popular methods and is the cleanest method of extraction. As the CBD industry continues to grow, we will see new methods of extraction rise to the top (no pun intended). Sustainability and stewardship remain a cornerstone of the hemp industry, and creating clean methods of extraction remain a priority. The great news is that as the demand for CBD increases, new avenues of research and testing will pave the way for consumers to receive the best products possible. It’s important to know where your hemp products come from. Right now, Colorado and Kentucky are the big players in providing hemp for use in CBD products. We recommend staying away from companies that source hemp from China, and focus more on U.S. grown and extracted CBD products. Since hemp can absorb toxins from the soil, it’s vital to know the source of all ingredients in CBD supplements. 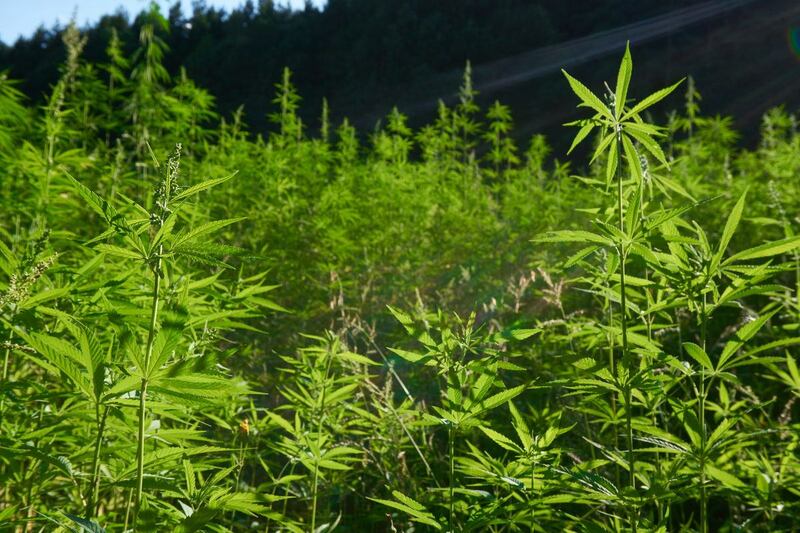 This is particularly important because hemp is a bioaccumulator, that is, it is able to absorb toxic chemicals and substances from the soil, acting as a renewing crop to our land. However, hemp that has absorbed toxins or heavy metals from the soil should not be used for health products like CBD tinctures. For this reason, it’s important to know exactly where your hemp is grown. Terpenes are essential oils that are found in the hemp plant. They act as conductors, bringing together the effects of all the cannabinoids. Terpenes’ job is to make sure that you get the most powerful, long lasting effects out of your CBD Tincture. Like nature’s amplifier, they’ll help the music last for hours. CBD isn’t the only all star player here. Research is being conducted on over 100 different cannabinoids, natural compounds just like CBD, that are found in the cannabis plant. You may see things like CBG, CBN, CBDA, THCA, and more in the CBD Tinctures you purchase. Don’t worry, all these little guys pack a powerful punch and will only enhance your experience. Many times you may see hemp companies add multiple carrier oils to a CBD tincture to ensure you are getting the most bioavailable (or absorbable) CBD. Oils that you will see working in tandem with each other are frankincense, olive oil, blackseed, hemp seed, vitamin E, and other antioxidant substances. Ultimately, the best decision you can make is to buy your CBD tinctures from a trusted source. Verified retailers do the hard work for you and only carry third-party tested, premium CBD oil. 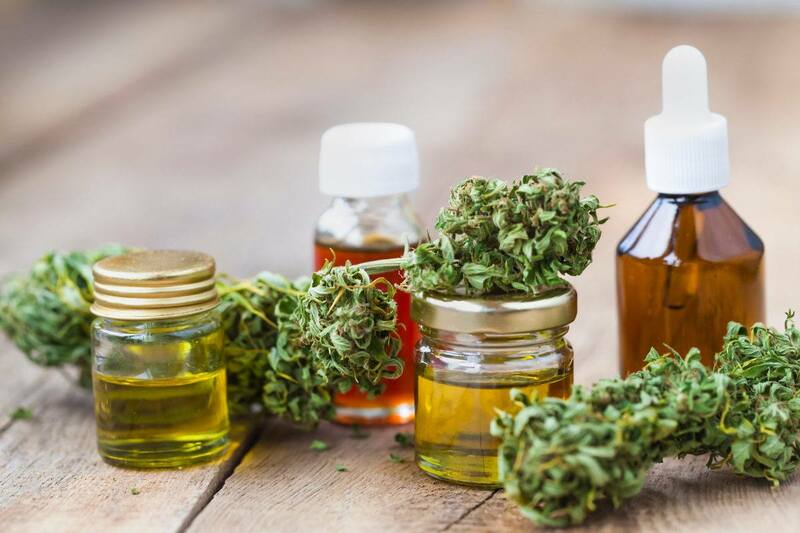 They also provide all the information you need to know about each CBD product, from CBD concentration and cannabinoid profile, to extraction method, to geographical sourcing. All of this is in efforts to empower you as the consumer. After all, your experience matters the most.